An expendable conductivity-temperature-depth profiler (XCTD) is one of the most important instruments used to obtain hydrological data, such as temperature and conductivity, and detect ocean depth in a large area. However, the XCTD channel provides poor time-varying performance, narrowband, and low signal-to-noise ratio (SNR), which severely restricts the data transmission rate. 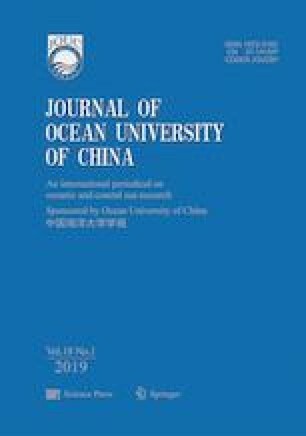 In contrast to conventional single-carrier modulation techniques, such as amplitude-shift keying and differential phase-shift keying, this article provides a new method, based on orthogonal frequency division multiplexing (OFDM) to enhance the data transmission rate of deep-sea abandoned profilers. We apply the OFDM to enhance the SNR of the XCTD, which is achieved by reducing the data transmission rate of each sub-channel. Moreover, the bandwidth utilization may be improved by increasing the number of subcarriers in a given bandwidth, which enhances the data transmission rate. Based on analysis of the XCTD channel model, OFDM with different parameters such as constellation mapping, number of subcarriers, subcarrier spacing, signal period and cyclic prefix are achieved. To verify the effectiveness of the OFDM, this study investigates the influence of different parameters on the data transmission rate at different noise levels, i.e., −20 dB and −40 dB. This study was supported by the National Key Research and Development Program of China (No. 2016 YFC1400400), and the Marine Economic Innovation and Development Demonstration Project in Binhai New Area (No. 1723434C4114194).